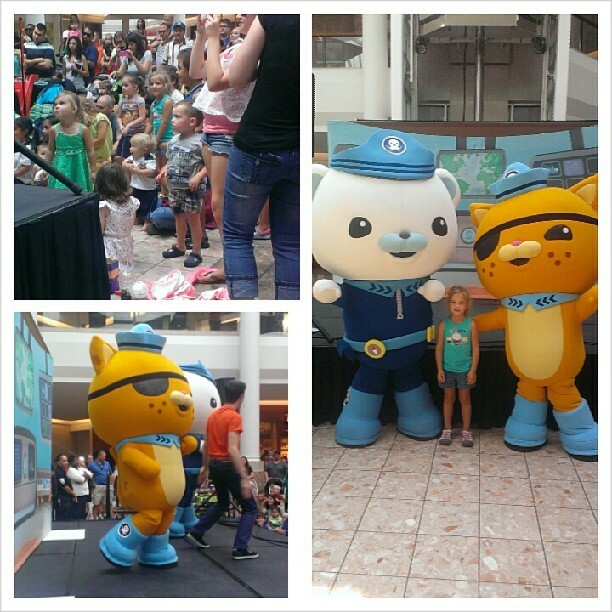 The Octonauts were at our local mall doing a show last weekend. It was pretty cute. 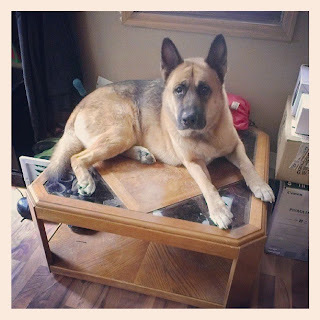 He always lays and sleeps on the table. 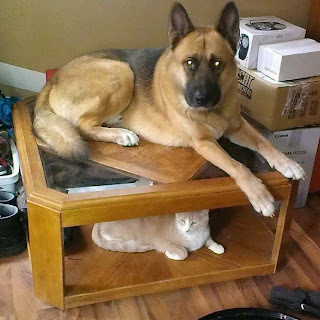 Usually the cat is on his bed when he's up here. This day, they decided to make the table bunk beds. Silly animals!